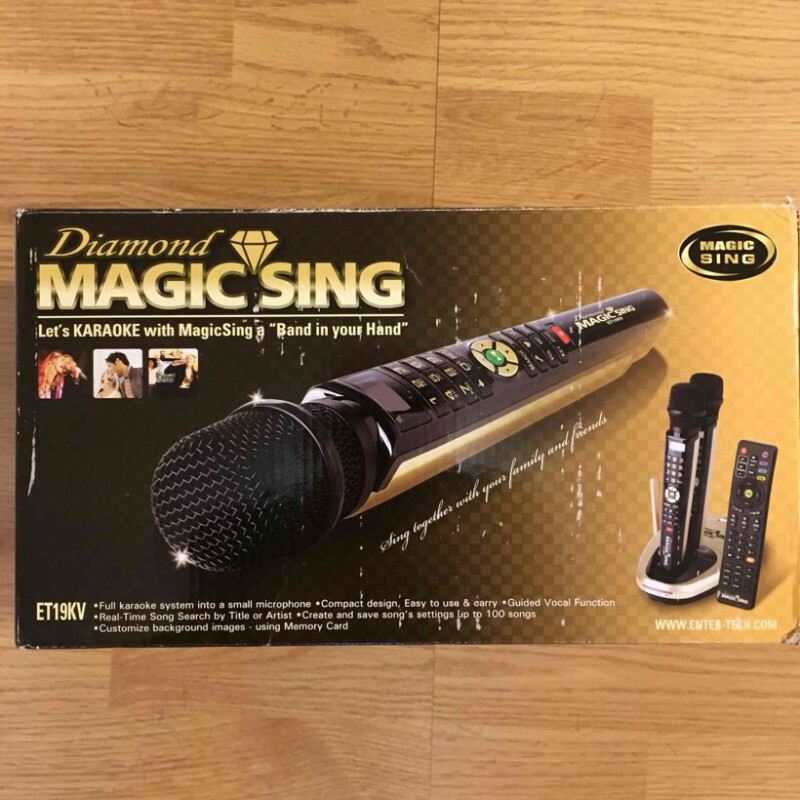 new generation of karaoke is easy and simple to operate. 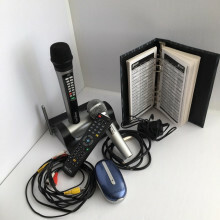 comes with preloaded music, a song catalogue, one wired mic and one wireless. 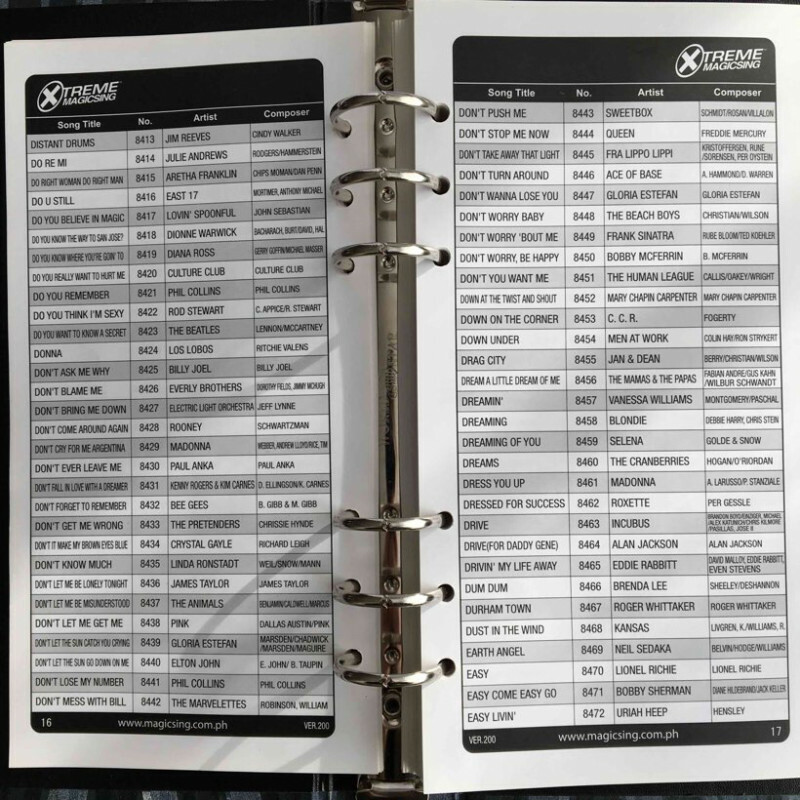 hooks u to any tv and your stage is set for a fun filled night of singing. 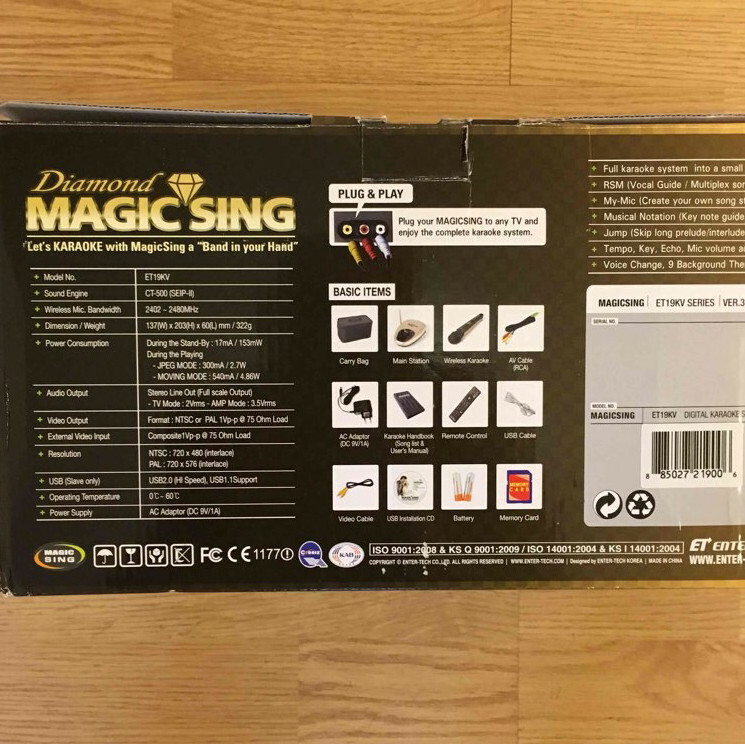 magic sing also rates and scores your singing for some friendly competition. 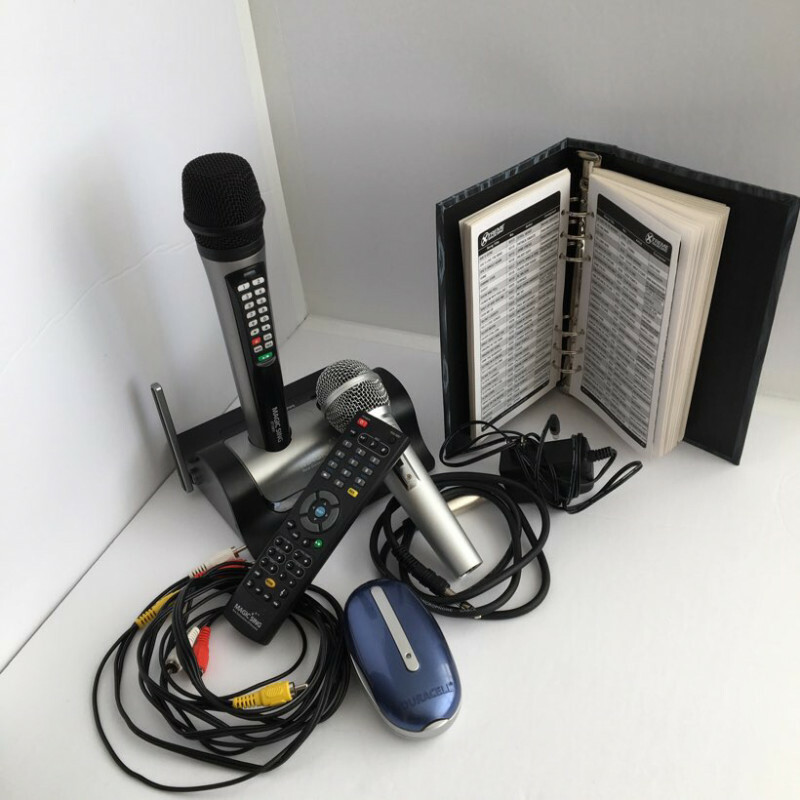 Power cord, mic’s, music book, rca audio and video cable.